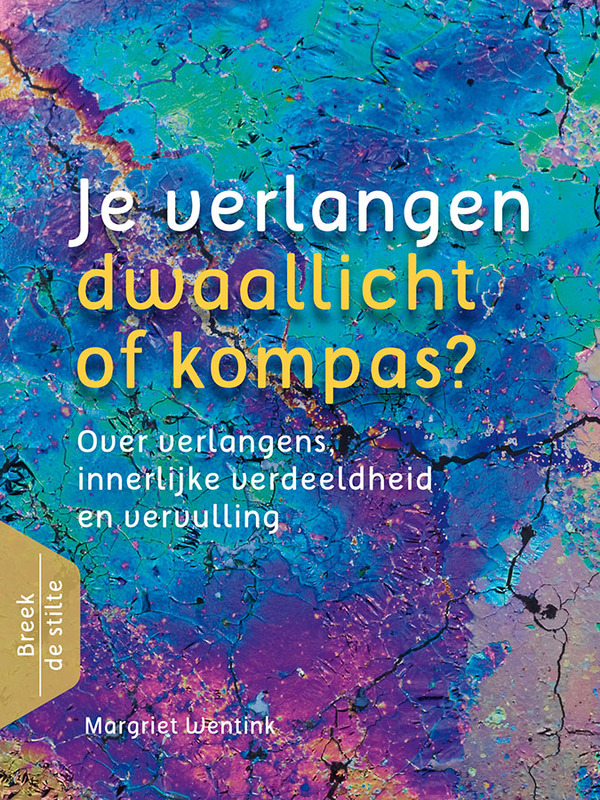 Margriet Wentink, a Dutch writer, has used"http://www.uitgeverijakasha.nl/" class="ngg-publications-link" target="_blank">publisher Akasha . Misja is extremely happy with this result, seen it's her first image to show off on a book cover. Misja's first French publication is featuring not"http://www.macro-photographie.com/" class="ngg-publications-link" target="_blank">Macrophotographie. 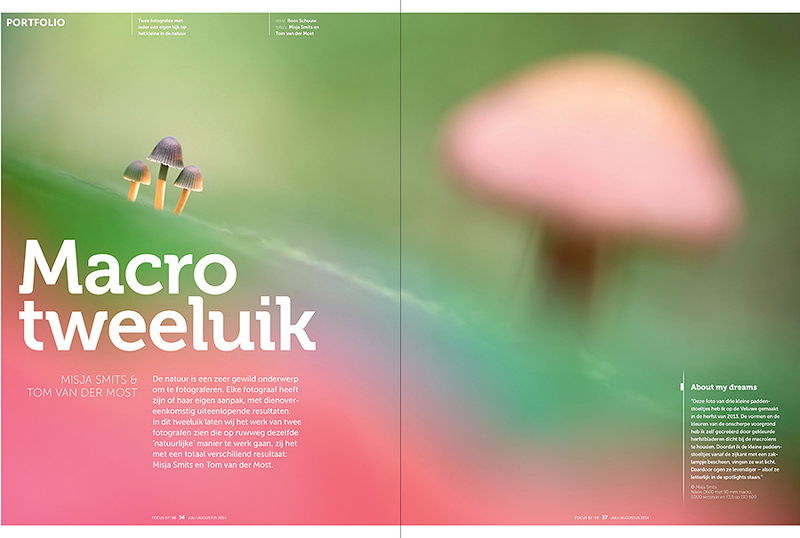 The Dutch Photo magazine Focus has published an article called 'Macro Tweeluik' in the July/August issue of 2014. As the name already reveals, the article doesn't"http://www.nederpix.nl/profile.php?mode=viewprofile&u=4651&sid=1b32bd3a3287719404de9222c43d863b" class="ngg-publications-link" target="_blank">Tom van der Most. 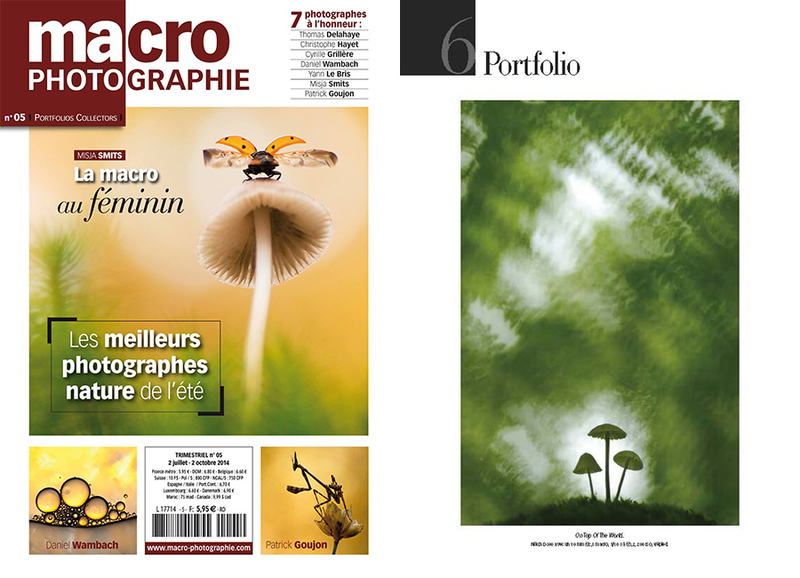 While both showing macro photos, the magazine points out the differences and the similarities between the two of them.